WALKSTRONG ~ www.walkstrong.ca: " Resolution ... "
As 2012 is coming to an end, this is usually the time most of year we reflect. What did we resolve to do, to accomplish ... and were they met? Resolutions ... a commitment that a person makes to one or more personal goals, projects, or the reforming of a habit. 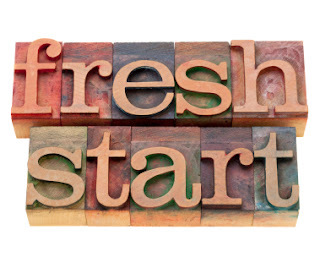 What sets apart a new year’s resolution from other resolutions is that it is made in anticipation of new beginnings. The most popular new year’s resolutions range from drinking less alcohol and eating healthy food, to saving money, managing stress and volunteering to help others. Sounds familiar right? Yes, it's deja vu ... most self promises are the same as last year, and maybe even the year before. So why do we fail? Well one of the main reasons resolutions are so hard to change is that we come up against rock hard habits. These patterns of behaviour have been built up over many years. Yet it is natural to assume that we should consciously be able to make changes but we neglect to understand how habits work. Habits live mainly in the unconscious mind. These are things we do on autopilot without being consciously willed. Good for habits that keep us safe, tough when we are trying to change bad ones. Research has shown once we identify what trigger’s our habit, it is possible to make a change. But one of the usual mistakes made is to suppress the habit. This tends to backfire and unconsciously it comes back stronger. First, start with a plan - link a specific situation with a specific action. If you successfully repeat the new response in the same situation, your replacement habit gains strength. One of the best ways of boosting motivation is to accentuate all the negative aspects of your old habit and all the positive aspects of your new habit. Next, start with minor bad habits. For big changes, think small. Baby steps are likely to work better. We are usually tempted to bite off more than we can chew. Yet once we tackle the manageable, we can layer another good habit on top, and then another.